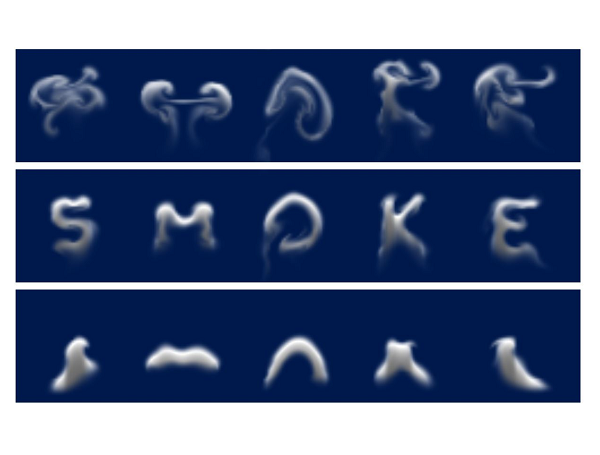 We describe a method for controlling smoke simulations through user-specified keyframes. To achieve the desired behavior, a continuous quasi-Newton optimization solves for appropriate "wind" forces to be applied to the underlying velocity field throughout the simulation. The cornerstone of our approach is a method to efficiently compute exact derivatives through the steps of a fluid simulation. We formulate an objective function corresponding to how well a simulation matches the user's keyframes, and use the derivatives to solve for force parameters that minimize this function. For animations with several keyframes, we present a novel multipleshooting approach. By splitting large problems into smaller overlapping subproblems, we greatly speed up the optimization process while avoiding certain local minima.